It is estimated by the WHO that globally, over 1 billion (16%) adults are overweight and 300 million of these (5%) are obese. The highest rise in the number of obese is noted in the countries with fast growing economies especially of South East Asia. More than a 100 million individuals are obese in India. Excess body weight is a known carcinogen, associated with more than a dozen cancers and suspected in several more as per the American Cancer Society. Hence, each one of the 100 million Indians is at a risk of an obesity linked cancer. On this World Health Day, keeping this disease burden in mind, the initiative called Health Over Hospital was launched. To reduce the burden of lifestyle diseases in India, a unique event was organized titled - Health Over Hospital. Organized by Rachna Chhachhi, Cancer Nutrition Expert & Brand Ambassador Gemini™ Cooking Oils and supported by Gemini™ Rice Bran Oil, the four-hour event was in the format of workshops. It was additionally supported by Saffola Fitify, Organic India, Keggs and Conscious Food as well as Bollywood celebrities like Pooja Bhatt, Manisha Koirala and Vivek Mushran. This was the first health event of this stature in India to be broadcasted live on social media for four hours. Case studies where patients talk about mental health, reversing heart blockages, increasing survival rates from late stage cancers, recovering rapidly from incurable diseases like rheumatoid arthritis, psoriatic arthritis and lupus and recovering from alcohol addiction, were discussed at the event. The participants were taken through how they can scientifically reverse their health issues and get a better quality of life and stay healthy with higher energy. “The road to good health has to be taken one step at a time. 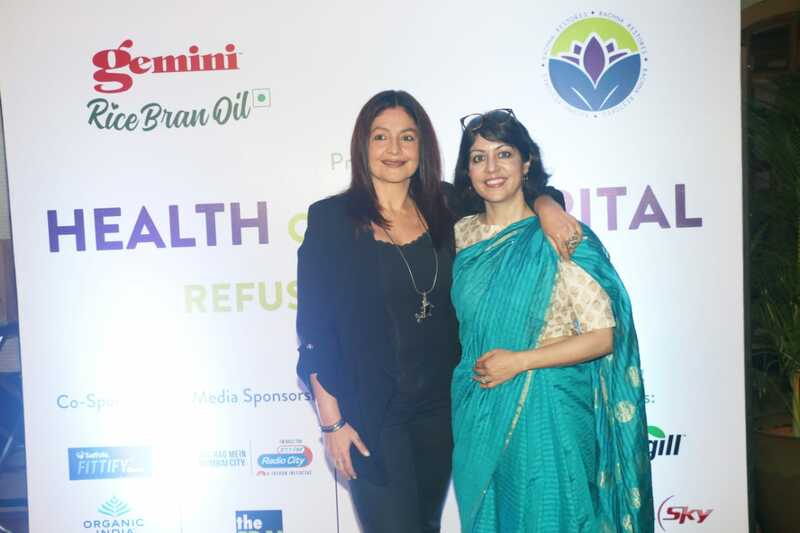 Thank you for joining me to share my experiences on the lonely yet fulfilling journey I undertook to claim myself back,” says Pooja Bhatt, who spoke about overcoming her alcohol and food addiction. "We wanted to bring the knowledge of holistic healing to the mainstream. Till now, healthcare meant doctors and hospitals, but healthcare is actually taking care of your health with nutrition and a good lifestyle to prevent diseases. Going to a doctor and a hospital for treatment is emergency care," says Rachna Chhachhi, Cancer Nutrition Expert & Brand Ambassador Gemini Cooking Oils, who herself suffered from an incurable disease 13 years ago and was given up by doctors and bedridden, when she was in a leadership role with a large multinational financial organisation. Rachna healed herself via nutrition, yoga and meditation, and began her journey to heal others.